By agreeing to the Client Agreement, you agree to abide by the terms and conditions of the Client Agreement. • I confirm that I have been advised by Paula Jones of the scope of the therapies that she provides and give my full consent to receiving therapy sessions from Paula Jones of Happinosis. • I understand that results may vary from person to person and the agreement by Paula Jones to work on the issues or problems presented by me, using whatever therapeutic model or models are appropriate to my situation, in no way implies or guarantees the resolution of any presenting issues or problems. • I understand that hypnotherapy and any other therapy or information provided by Paula Jones, either in person or via telephone, email or internet is not a replacement or substitute for medical, psychological or psychiatric treatment. If I have any doubts or concerns about my health, I will seek advice from an appropriate qualified healthcare professional. • I declare that, if advised by Paula Jones prior to any therapy sessions, to seek medical approval, I will consult with my GP, hospital consultant and/or other healthcare professional and gain the appropriate written approval for Paula Jones prior to the next therapy session. • I have been advised that I am free to terminate any or all sessions at any time. • In order to maximise the likelihood of a successful outcome, I agree to make reasonable use of therapeutic suggestions during and between sessions, including listening to CDs and/or MP3 files and carrying out agreed actions or tasks as appropriate. • I have accurately and truthfully answered any questions and provided background information during the initial consultation and will continue to do so during any subsequent therapy sessions. Any contact between sessions, will be by telephone, text, email or letter during office hours only (Monday to Friday, 9.00am to 5.00pm). Please arrive promptly at your appointment time. If you are running late, please let me know as soon as possible. I will do my best to make a full session available, however as the ability to do this will depend on bookings subsequent to your appointment, this cannot be guaranteed. If you are more than fifteen minutes late, this will count as a non-attendance. Considerable time is spent preparing for each client session. If you need to cancel or re-schedule an appointment, notification must be made via email or text, phone call at least 48 hours prior to the appointment. • Where a referring GP or other healthcare professional requires a report. A copy of the report will be available on request. 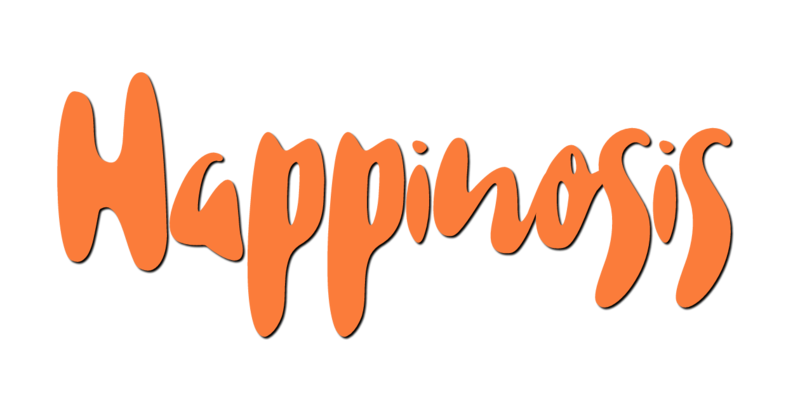 Client information may be anonymised and used in case studies and marketing materials; this will not take place while a client is currently undergoing treatment, or has been a client of Happinosis within the last twelve months. As an Accredited Member of The General Hypnotherapy Register, I receive regular supervision in line with policy and guidance in order to maintain standards and promote best practice. Supervision sessions may involve discussing client case histories and/or details of sessions. Where this applies, your identity will not be disclosed and your confidentiality will be maintained at all times, except in the circumstances described in the confidentiality paragraph in this agreement. The agreement to work on the issues presented by you, in no way implies or guarantees the resolution of your presenting issue(s). However, I will endeavour to use my best efforts and skills to work towards your therapeutic goal(s), and I respectfully request a similar level of involvement and commitment in return. You agree not to come to sessions under the influence of alcohol or recreational drugs, except those medications which have been prescribed by your doctor. If you do come to sessions under the influence of alcohol or recreational drugs or demonstrate violent/abusive behaviour, I will cancel the session and may refuse to see you for any further therapy sessions. If you are receiving care or treatment from any medical practitioner e.g. GP or hospital, you may be asked to seek their permission before any therapy sessions can commence. In the event that there is the possibility of you having an undiagnosed condition such as depression, it will be recommended prior to commencing therapy that you see a GP. I reserve the right to refuse treatment where this advice is not followed and proves detrimental to the client. World Sleep Day – How well do you sleep? Is smoking part of your identity?